Since I was young, I've constantly read books describing women's skin as milky, soft, smooth, and dewy. Unfortunately, I've not been able to describe my skin as such. Till today, I struggle with my late onset of eczema that appears in bouts whenever I use an unsuitable body wash or am in a very dry climate (it was hellish in Australia during winter!). However, call me one lucky girl because Dove's NutriumMoisture® range came right to my doorstep and to my rescue. Watch the video below to see how it helped others like me! What is the most nourishing ingredient for your skin? We asked four ladies, and gave them a unique spa experience to change the way they think. Dove's NutriumMoisture® range promises softer, smoother skin after just one shower. You can expect an improved body wash formula that is not only gentler but with the same amount of rich lather that we all love! The best part is knowing that it not only cleans quickly but also thoroughly so your skin enjoys natural nourishment. Also, with Dove's NutriumMoisture® range, long gone are the days that you need to soak in a milk and honey bath as Cleopatra once did to have gorgeous skin. Why? Because Dove's NutriumMoisture® wash hydrates even better than milk! Don't believe me? Just let the pictures below do the talking. 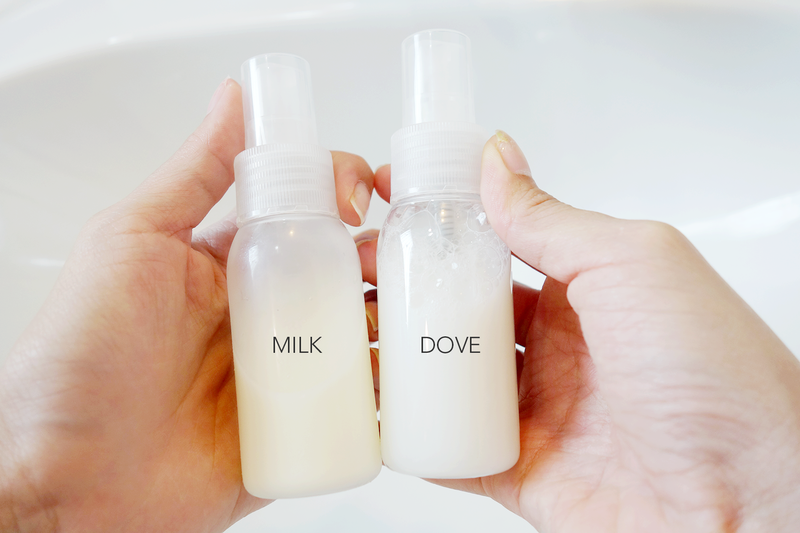 Right, so here in 2 bottles I've got milk and Dove's NutriumMoisture® wash! What I'll be doing is using each of them to spray onto my arms, one for the right and one for the left, and thereafter see which one concluded in a higher hydration level! I've placed the pictures side by side below for easier reference. DID YOU SEE!? 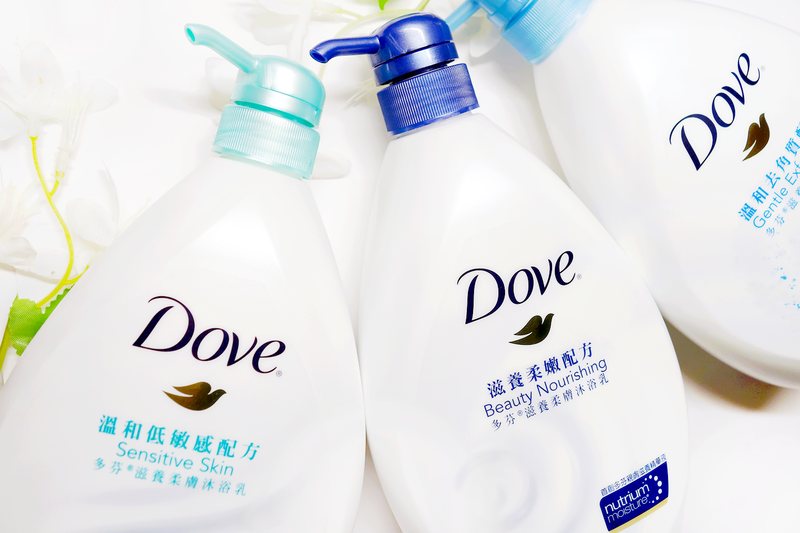 The arm with Dove's NutriumMoisture® wash actually jumped from 16% all the way to 28.5%! :O Whereas the arm which was rubbed with milk only went from a 20% to a measly 22%. If that's not proof, I don't know what is. I was pretty shocked myself! 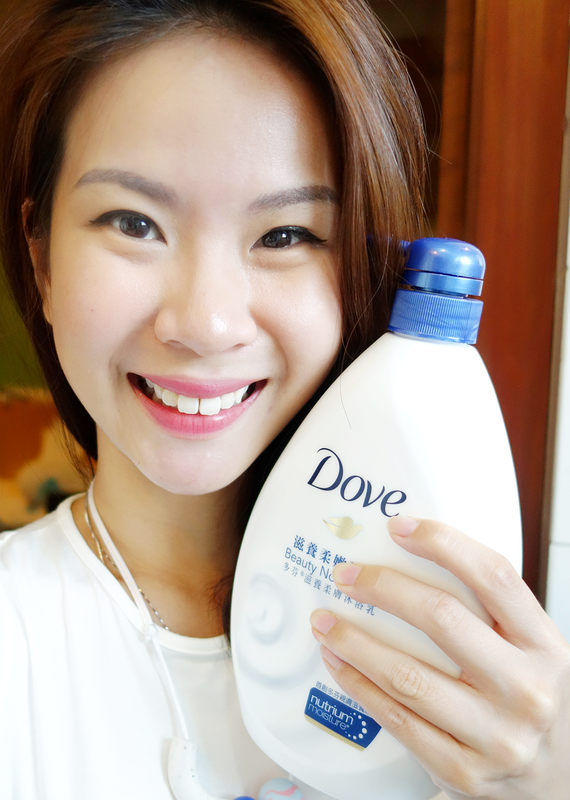 It was a total added bonus that the Dove NutriumMoisture® body wash smelt so good too hehe! Dry itchy skin is no fun, so let Dove's new NutriumMoisture® range help you. In a range of 3 with one for SENSITIVE SKIN, GENTLE EXFOLIATION and BEAUTY NOURISHING, you're able to decide what works best for you. Once again, thank you Dove for this heaven-sent goodness! :) I can't wait for my ultimate transformation to smooth silky skin now. My work requires me to wash my hands frequently and it always gets really dry, with skin peels/itchy skin. Hope it helps soothe that and stop the itching! My skin is always dry because I work on air conditioned room most of the day. I was amazed with the result of Dove Nutriummoisture on your skin and I love to experience that too. Hoping I could be worry-free about my skin even if I stay long inside an air conditioned room!